I’m really pleased how this card turned out. 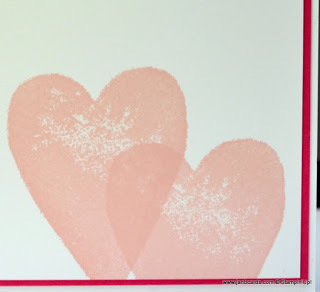 wedding, anniversary and engagement cards, too! Melon Mambo CS, with a top layer of Powder Pink CS. 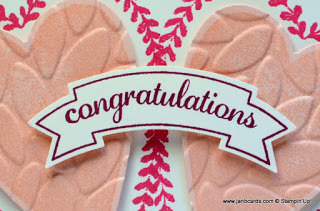 embossed the top layer using the Petal Burst Embossing Folder. Then I adhered this across the card horizontally, using Tombow. 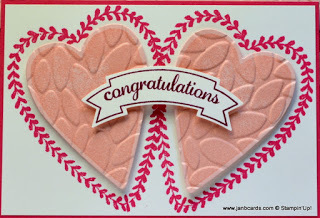 You Stamp Set, using Melon Mambo Ink. shape of the banner stamp. stamp on the block at what I thought look right. until I was happy with it – one of the benefits of photopolymer stamps! across both hearts using Dimensionals. overlaying and offsetting them so they came off the sheet. 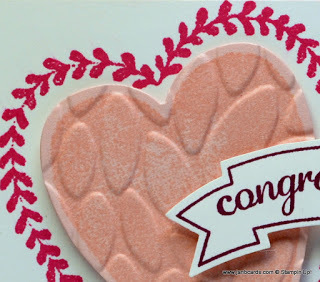 Whisper White CS layer onto a layer of Melon Mambo CS, and then adhered them inside the card. 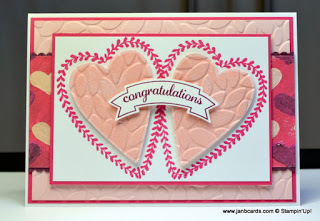 As I said before, I’m pleased how this card turned out! Tomorrow I’m hoping to work on the third project which is a box! surprised that the men in the congregation were “normal” men! of laughter through the Church! 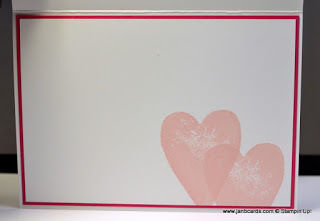 Hi Jan, Lovely card and I would think this would be a great wedding or engagement card.. 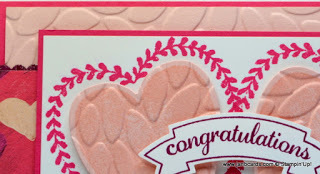 Thank you for providing us the details of how you did the card it is very helpful… many do not provide that insight. Thank you. Hi, Bernice. I'm glad you like this design, and I'm pleased you like to have the instructions, too. Yes, I agree that it would be lovely for a wedding or engagement card! Many thanks. ☺ Happy crafting, JanB.